1.If you have any questions about purchasing tickets, please call our hotline 400-610-3721 or send E-mail to ponypiao@damai.cn. 2.Delivery is not available within 3 days before the performance. We highly suggest customers come to our office to buy the tickets. 3.Children under 1.2m in height are NOT admitted (except for children program),beyond 1.2m are admitted with tickets! 4.Each order is limited to six tickets. 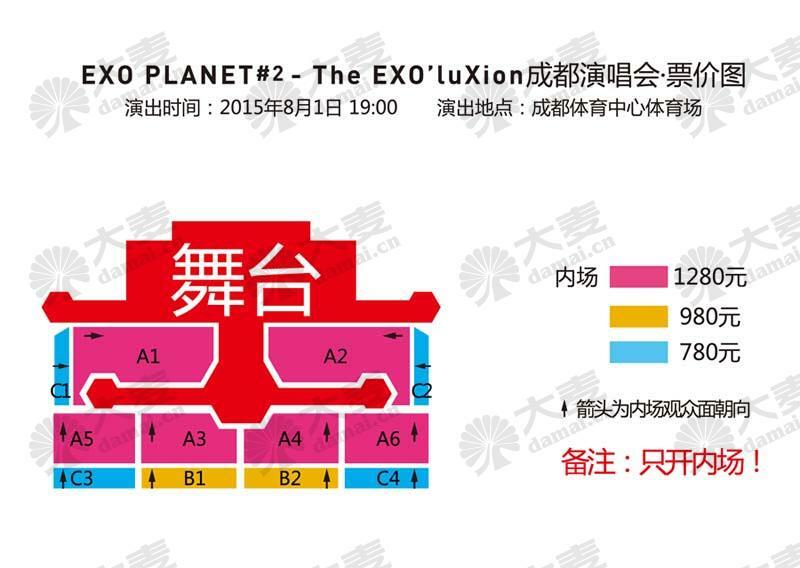 EXO PLANET #2-The EXO’ luXion in Chengdu will be held at Chengdu Sports Center on Aug.1st,2015. Exo (Korean: 엑소; stylized as EXO) is a Chinese-South Korean boy band based in Seoul. Formed by S.M. Entertainment in 2011, the group consists of twelve members separated into two subgroups, EXO-K and EXO-M, performing music in Korean and Mandarin, respectively. EXO rose to fame with the release of their best-selling first album XOXO (2013), which contained the breakthrough hit "Growl". XOXO was a critical and commercial success, winning both Disk Daesang at the 28th Golden Disk Awards and Album of the Year at the 15th Mnet Asian Music Awards. 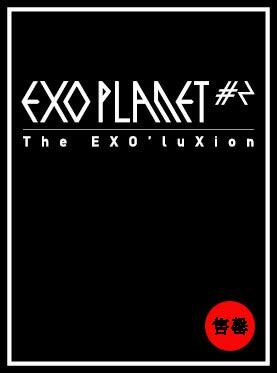 It eventually went to sell over one million copies, putting EXO as the fastest-selling Korean artist in twelve years. Their third EP Overdose (2014) made EXO the highest-charting Korean male act on the Billboard 200. In May 2014, Kris filed a lawsuit against S.M. Entertainment to be removed from the group. Luhan followed suit in October 2014. Following their departures, EXO carried on with ten members. EXO's debut single, "Mama", was released in April 2012. The single was a moderate success; EXO-M's version topped mainland Chinese music charts after only one day of release, and EXO-K's "Mama" music video reached to number seven on YouTube's Global Chart. The group's two albums, the 2012 debut EP Mama and the 2013 comeback studio album XOXO, were major commercial successes, selling over 1.5 million units in total worldwide.With XOXO, EXO became the youngest boy band to win Album of the Year at the Mnet Asian Music Awards,and the fastest-selling K-pop artist in twelve years. The lead singles off XOXO, "Wolf" and "Growl," were hits, landing first place trophies on music shows from all three of Korea's major free-to-air broadcast stations. The latter also peaked at number three on Billboard's Korea K-Pop Hot 100 chart. The group received numerous rookie awards in 2012, and has since won over forty award. *You can book your ticket right now!